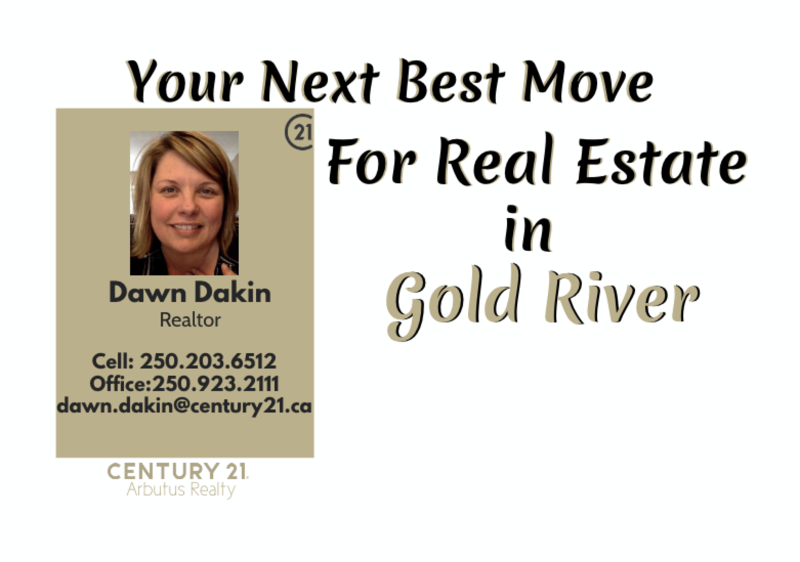 What can you say about Air Nootka? 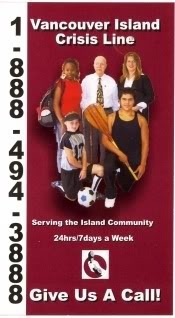 This business has provided local flights since 1981. The new owner took over just a couple years ago. I have had the pleasure of spending some time with him and he is definitely a guy with a sense of humour. I have had many friends take the flight to the hot springs and have enjoyed the flight as well as the destination immensely. 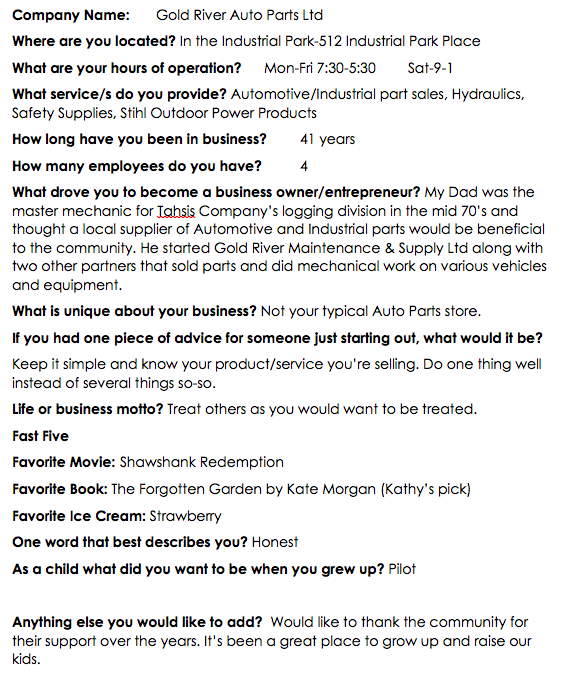 You will get a sense of Scott and his partner in crime, Angela’s sense of humour as you read this little bit about Air Nootka, ENJOY! 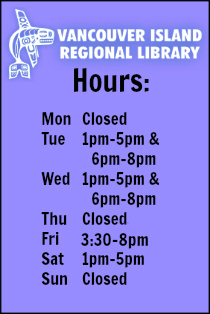 What are your hours of operation? Sunrise to sunset. What service/s do you provide? 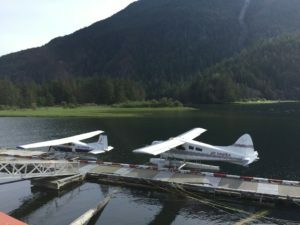 Air Nootka provides chartered floatplane flights for the West Coast as well as the Scheduled Mail Flight 3 days a week, year round. 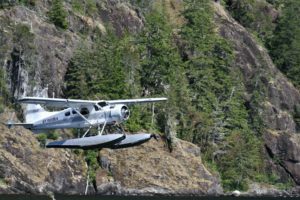 The charters include flights for hikers to the Nootka Island Trail, the Hesquiat Trail, and the Tatchu Trail, flights for fishermen out to the different fishing lodges, day trips to Hot Springs Cove, scenic tours, and more. How long have you been in business? 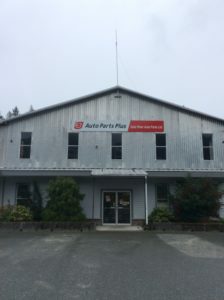 Air Nootka has been in operation since 1981. How many employees do you have? 2-5 depending on the season. What drove you to become a business owner/entrepreneur? 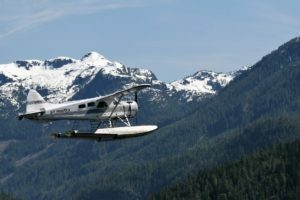 We love the natural beauty of the West Coast and what better way to experience it than operating a floatplane charter business. What is unique about your business? Our business offers residents to experience the rugged beauty of their own backyard. If you had one piece of advice for someone just starting out, what would it be? Aviation, like any business, has its ups and downs. Life or business motto? Happiness is a tight Beaver! I can’t say enough about the service the GR Auto Parts store provides for this community. If you know Ross and Kathy, who currently run the shop, you surely love them! If you know Jim…well that’s a story in itself…just teasing, he is a wonderfully funny and kind guy. I of course have to mention the ‘founding father’ Manly and his beautiful wife Flora, who have always greeted me with a smile and a kind word. You know there has to be something special about this business in order for them to be around for 41 years…I think it’s the family! 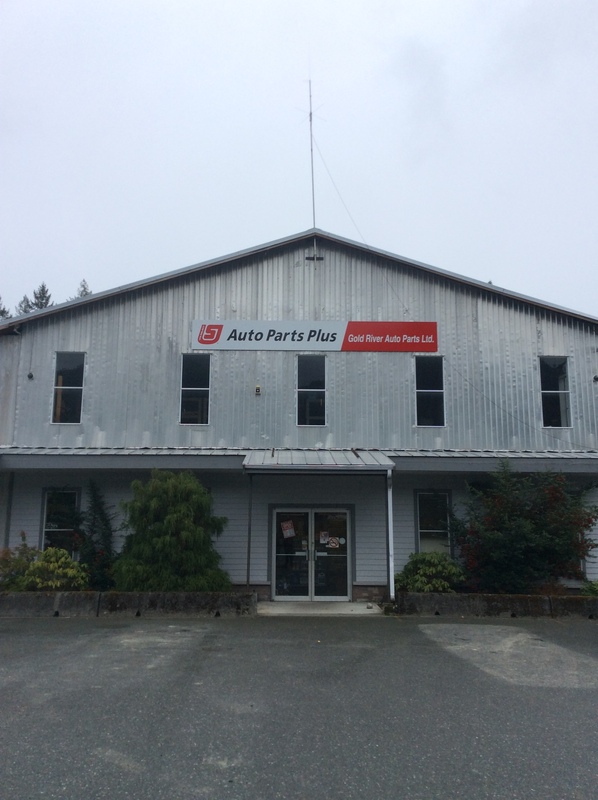 It is well known that GR Auto parts provides a great service at prices you would be hard pressed find anywhere else. 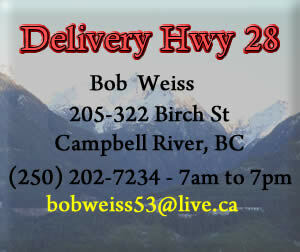 Not only that if it what you need is readily available, shipping usually only takes a day or two!